You may remember Tom and Rebecca from a post earlier this year. 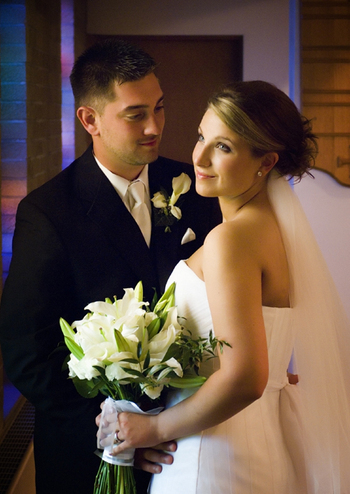 They were such a great couple and we really had a lot of fun working with them. We couldn't resist posting part of their wedding day movie. Here are their Preparation Highlights.....enjoy! We spent a fun weekend with Tom, Rebecca and their family & friends. Their wedding was at Zion Lutheran Church where we worked with Pastor Rob and Renee, the wedding coordinator. I have to say this was one of the warmest and friendliest churches we have filmed at. They went out of their way to help and assist in anyway possible, thank you Rob & Renee' it is very much appreciated. We also had the privilege to work with one of the best photographers in the Tri-city area, Bruce, owner of Warner Photography in Midland. 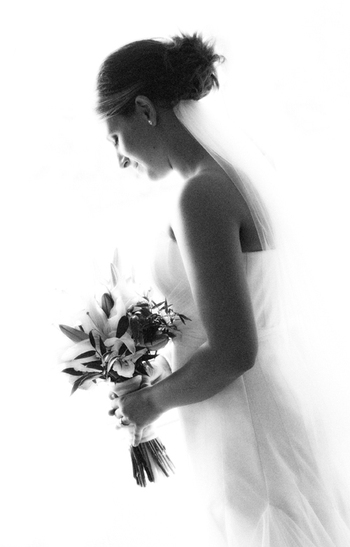 Warner Photography is well known through out the area for their quality and exceptional work. As always Bruce was very easy to work with allowing us to get the shots we need to make an amazing wedding video for Tom & Rebecca. Here are a few of the images that Bruce captured. 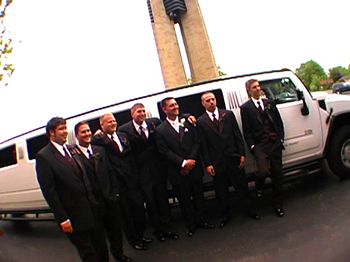 Rebecca, Tom, their wedding party, and some of their family departed for the reception in 2 stretched Hummer H2 limos provided by Gladwin Limousine. They always go out of their way to make sure everyone is comfortable. How could you not in a ride like that. The day ended at the Doubletree where we worked with Tricia from the Doubletree. Tricia was extremely helpful the week before the wedding working with us and going over all of the details and events of the evening. 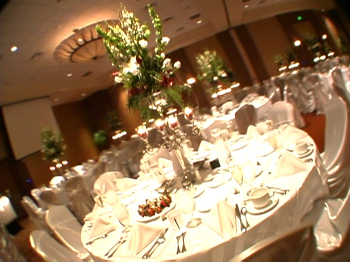 Of course the room was amazing with white table and chair coverings, beautiful flower arrangements and chocolate covered strawberries on each table which was a nice touch on a hot summer day. Ryan from Rusch Entertainment was very professional and helpful throughout the evening. Ryan even offered to help bustle Rebecca's dress, that was a first for me. 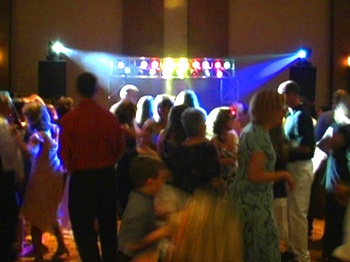 And like all good DJs do he kept the dance floor full. Stay tuned for more from their wedding day.